Working with any high-pressure hose, whether it is handling fluids or air, Whip Checks should always be used and are required by law. 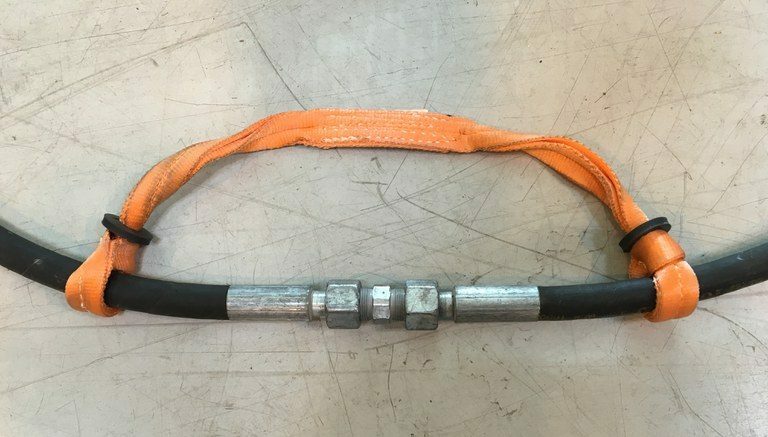 When high-pressure hoses are joined together or to a piece of equipment, a Whip Check should be used to restrain the movement of the pressurised hose should it become uncoupled. 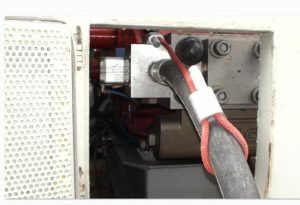 Whip Checks should be attached at any point where two hoses are joined or fixed to a pump at the fluid discharge side, or where a hose attaches to any piece of water jetting equipment. Hydroblast has invested in a new style of Whip Checks. They are available in two sizes and are made from Steel Rope, coated with Kevlar and an outer layer of Polyester. 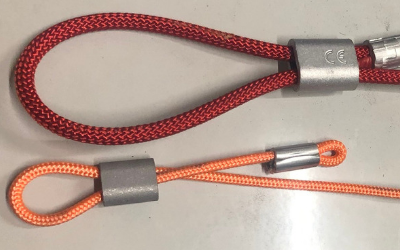 These new hose Whip Checks are easy to use and have 3 Unique International Patents. These new hose Whip Checks are certified and tested. They are easy to use and have a soft feel, with either 4mm or 6 mm steel wire. 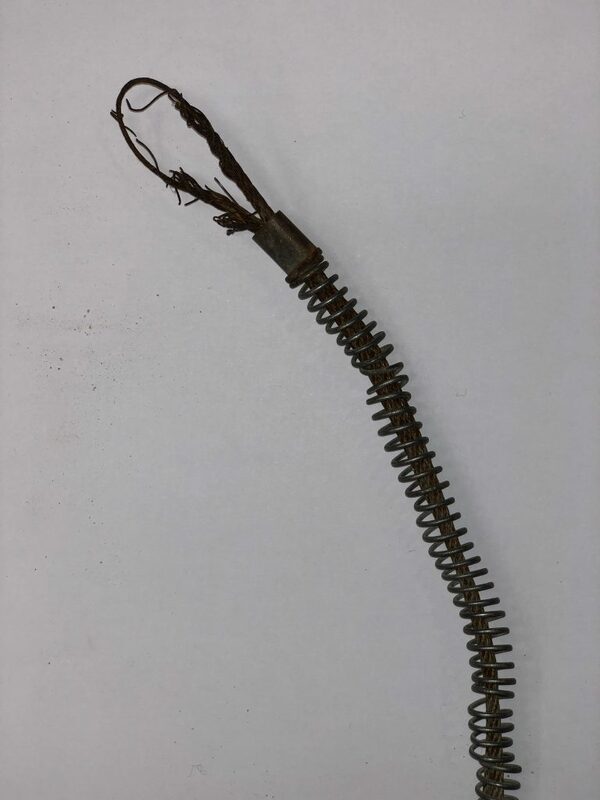 Old Style Wire Whip Checks have been used, however after use, they themselves become dangerous when using, with wires starting to fray, and even when wearing gloves, the frayed wires can puncture the skin on your hands, whilst the new design is much “softer and safer” on the hands. We have tried the One-Ply Nylon belt style Whip Check. When they are new and dry they are nice to use, but after a while, they cannot be adjusted and become unusable. They are made as a loop design and they are designed to pull tighter and tighter. Whip Check must be inspected prior to any pressurised equipment being turned on. The Whip Check must be installed at a fully extended position. 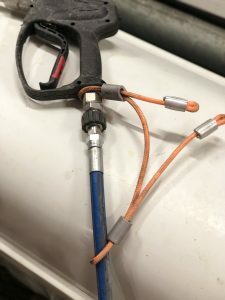 The NEW Whip Check instead, can be applied without being stretched, thanks to the choking system that allows a stronger and firmer grip on the hose. They are made for small hoses such as DN10 upwards, the picture below shows HYBW-S4-950 model used on DN10 hose. When working with high flow pumps and at high pressures giving high reaction forces means we strive to use the latest “safest” equipment. 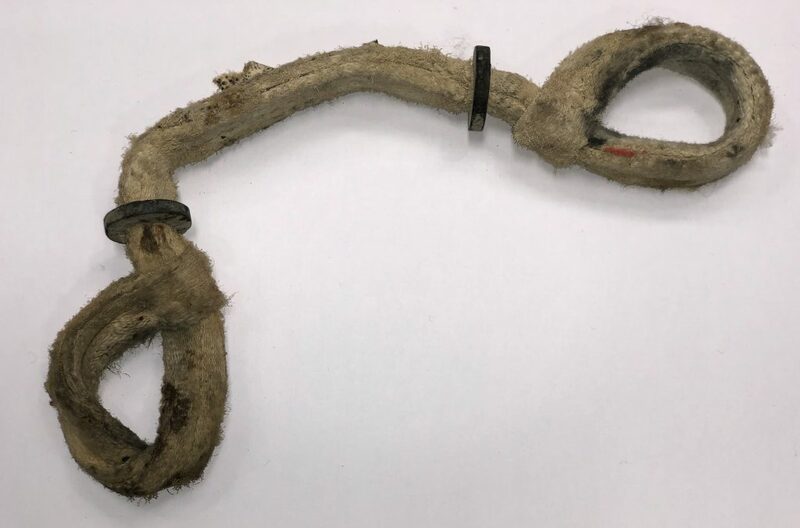 The picture below shows HYBW-S6-1000 used on DN19 Hose. For more information please download our Whip Check brochure and visit our equipment ‘For Sale’ page.